Everybody have read the great article from Martin about backing up your text messages but now I wanna show you an alternate way of doing so. That's why I call this article "Part 2". The idea is to install mysms from the Play Store. Then go into the mysms settings and connect the app with your Evernote account. You don't have an Evernote account? Just create one here for free. Once your evernote account is created, go to the mysms setting under "Evernote/Archive messages to Evernote" and log in. All done! Your incoming and outgoing messages (including your MMS!) are now forwarding to your Evernote account. You can still use your usual text msg app and never worry about mysms again as they share the same inbox. If you want to keep using using your usual text msg app, which I do, you can always turn the notifications off in mysms so when you receive a text, you won't be notified twice. Once all setup, you never have to worry about losing any text messages as they'll backup themselves automatically into your Evernote account. 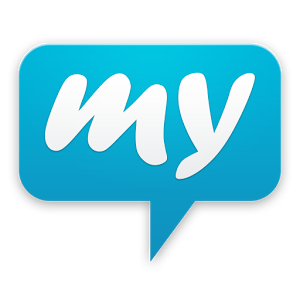 Stay tuned as I'll write an article next week about mysms and the reasons I use it.